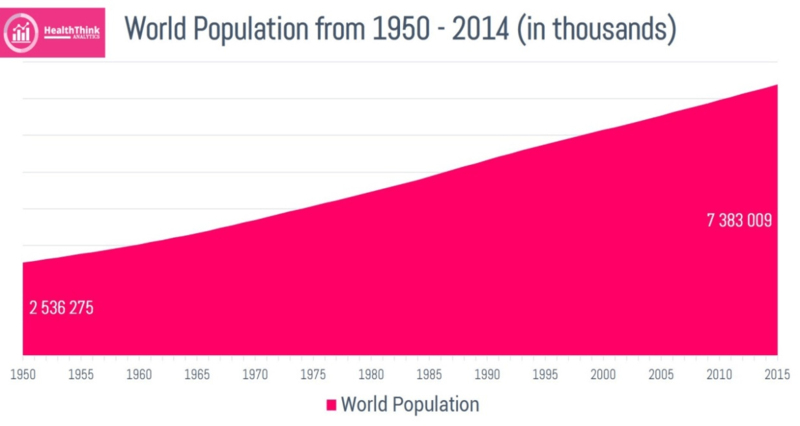 The world’s population is estimated to have crossed 7 billion people. This is twice the figure it was 50 years ago when the World Population Day was first celebrated (1). The World Population Day is a day set aside by the United Nations governing council to enhance awareness on global population issues (2). As we celebrate the World Population Day with the theme “Family planning; empowering people, developing nations”, it is vital we reexamine current status of family planning in Africa’s most populous country, Nigeria. Nigeria is the 7th most populous country in the world, and has a population of approximately 182 million people and an average growth rate of 2.54% (3). 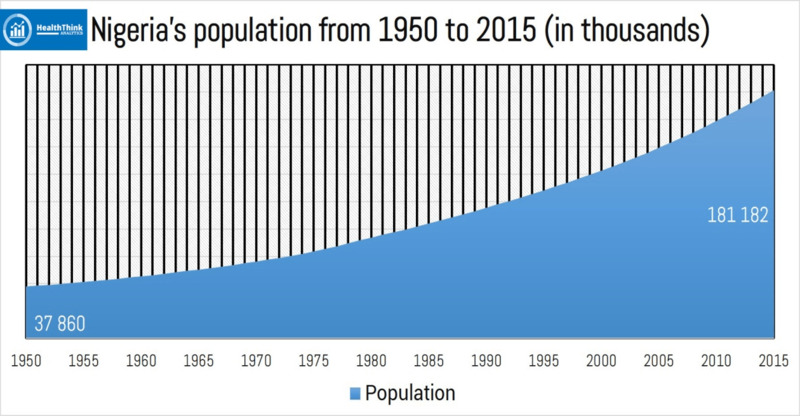 In 1960, its population was 45.1 million, it rose to 179 million in 2014 (4). With an estimated population growth rate of 3%, it has been projected that its population is currently above 187 million (5), will be approximately 200 million by 2019 and over 400 million by 2050 if left unchecked (6). This steady increase in population has contributed to making Nigeria one of the poorest countries in the world with over 80 million (64%) of its respondents living below poverty line (7). Lagos state, the most populous state in Nigeria and also reputed to be the fifth largest economy in Africa with an estimated population of 14 million people (8) provides an example of the effects of overpopulation. About 66% of the city’s residents live in overcrowded slums and the most common form of housing in these slums is the “face me I face you” apartment blocks which can house more than 50 people in a compound sharing the same sanitary facilities and living space (7, 8). The problems and challenges posed by overpopulation are immense. Very frightening and easily observable are the human and environmental poverty, the declining quality of health as well as increased levels of juvenile delinquency and crime. This alarming population growth rate can be attributed to the high birth rate (39.1 per 1000 people) resulting from the underutilization of family planning services in the country (9). Family planning is defined as “the intentional effort made by individuals and couples to attain their desired number of children and determine the spacing of pregnancies through use of contraceptive methods” (10). 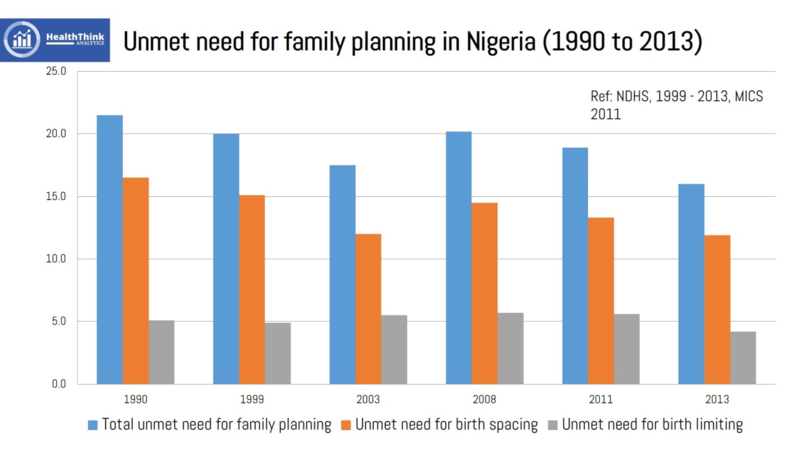 Family planning is the key to slowing the untenable growth in population. It does not just control the population though; it saves the lives of women by reducing the number of unintended pregnancies which could lead to adverse events like prolonged obstructed labor, unsafe abortions and even death of both mother and child. Maternal mortality ratio in Nigeria is 576 deaths per 100,000 live births (9), a number that can be significantly reduced with lower birth rates. Family planning also enables couples to have smaller children so that they are less likely to slip into poverty and can invest more in each child. Birth spacing empowers women to pursue education and available opportunities, thereby securing the autonomy of women and contributing to the health and development of communities. Women who plan their families are better able to plan their future. 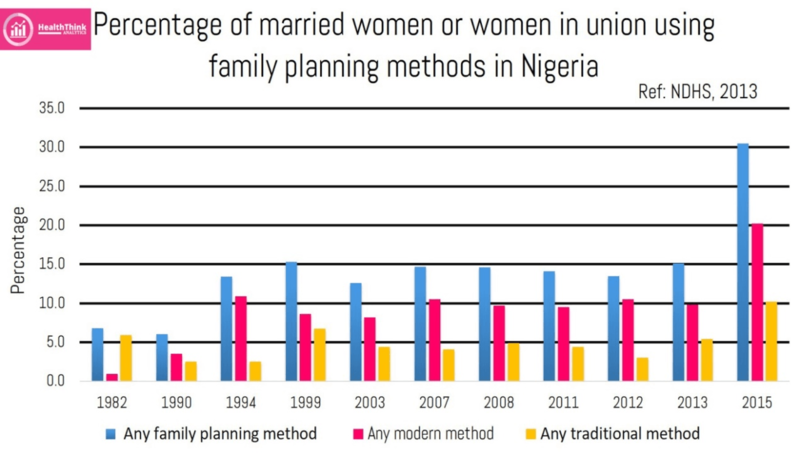 In Nigeria, about 39.2% of women are between the reproductive ages of 15-49 and only 30% of them use any method of contraceptive, 20% use modern contraceptive methods, while 10% use traditional methods (11). 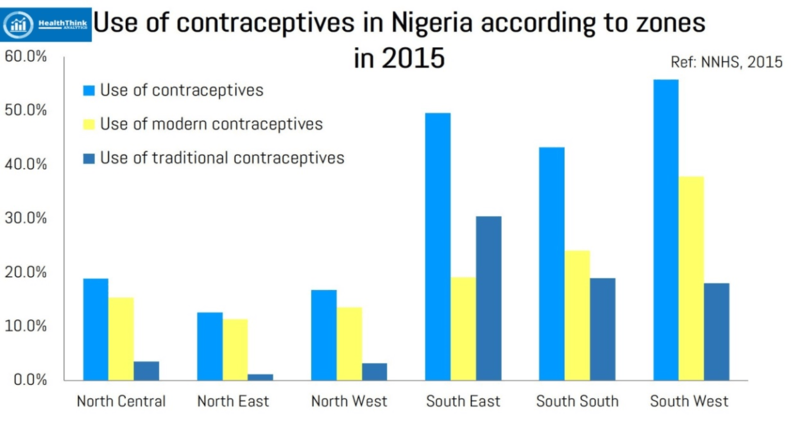 Contraceptive use also varies by region. In the South West, one-third of married women use a method of family planning as compared to just 11.4% of women in North East and 13.6% in North West (11). Reasons for these large regional disparities may be attributed to cultural or religious views rejecting the need for birth control. There is also an inverse relationship with the use of contraceptives and socioeconomic status. 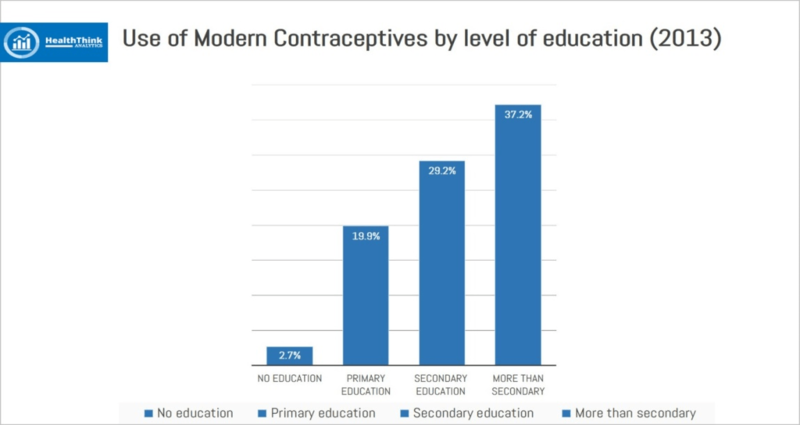 Thirty seven percent of women who had more than a secondary education used modern contraceptives, while only 3% of women with no education use modern contraceptives. 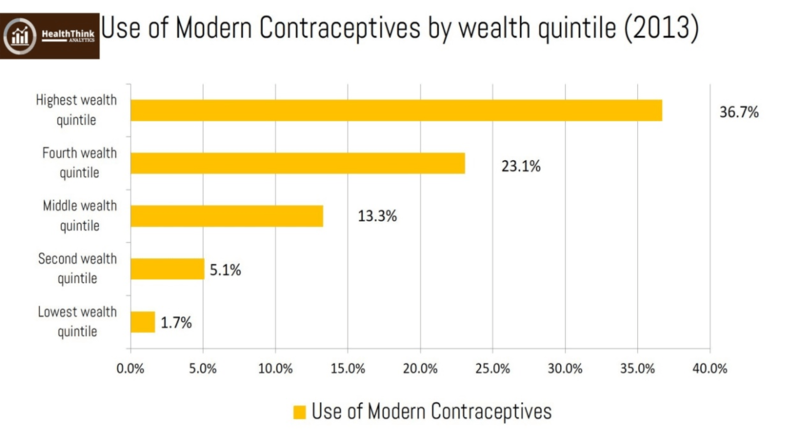 Similarly, the use of modern contraceptives was much higher in women in the highest wealth quintile at 37% compared to 2% among women in the lowest wealth quintile (10). These figures emphasize the importance of female education and empowerment in the development of the country. As stated earlier, the explosive population in Nigeria may partly be due to the inadequacy of family planning services, which may also strain national development, but we are here now and we cannot easily slough off overpopulation. Social and economic policies need to be set in place for Nigeria to reap its demographic dividend, hence the need to empower the young population to legitimately and productively contribute their best to national development. Additionally, there is a need for deliberate and determined public and private partnership geared towards educating the public (both individuals and couples) on the aims, objectives, efficiency, and reliability of family planning methods as well as ensure nation-wide availability. Dispelling religious and cultural myths on the lack of need for birth control can only be achieved by involving religious and traditional leaders in promoting family planning in their communities. There is also a need for couples to consult their physicians together and decide on the family planning methods best suited to their needs. This ensures that men are involved in the family planning process, and increases the use of family planning methods among couples. Similarly, policies aimed at safeguarding the rights of women and eliminating scourges like early marriage and violence against women and girls should be passed and enforced. There is also an urgent need to create opportunities for women to pursue additional education to empower them economically and politically to participate in public life, including paid employment in non-family organizations. Women should be certainly be protected, as the entire world will benefit from a better economy, environment, healthier communities and national and regional development. World Health Organisation (2016). Family planning/Contraceptive fact sheet. Retrieved from http://www.who.int/mediacentre/factsheets/fs351/en/). Tobacco: Gradually crippling Nigeria IS THERE A ROLE FOR TRADITIONAL BIRTH ATTENDANTS IN COMBATING MATERNAL DEATHS IN NIGERIA ?